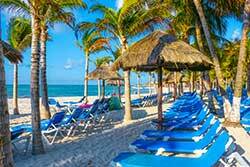 The leading specialist website for travelers planning a vacation to Mexico’s Yucatan Peninsula. 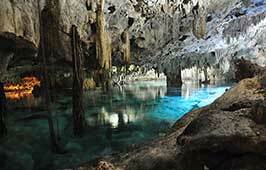 The Yucatan Peninsula is one of the most culturally and ecologically rich regions in the world. 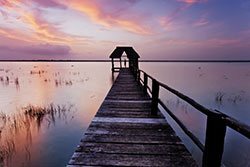 A vast variety of flora and fauna can be found in the biosphere reserves, the lakes and the coral reefs, while Mexico’s Mesoamerican culture is present in the abundance of archeological sites ripe for exploration. 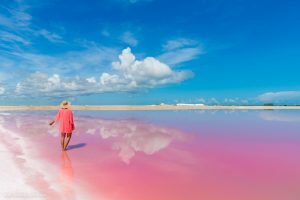 Vibrant colonial cities are dotted throughout the peninsula and whether you are searching for beautiful white-sand beaches to relax on or seeking out thrilling adventure, there is nowhere quite like the Yucatan Peninsula. 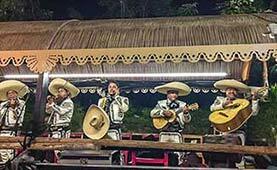 Travel Yucatan’s specialist on-the-ground team has extensive knowledge of hotels, transportation, restaurants and attractions and has done all the research so you don’t have to. The website has information useful for first-time visitors and veterans alike. 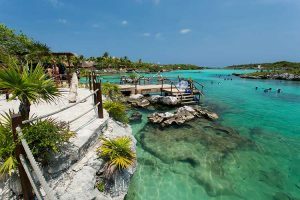 So if you are planning a vacation to the Riviera Maya or anywhere else across this stunning peninsula, our destination guides, expert tips and simple booking systems have everything you need to prepare the perfect trip. 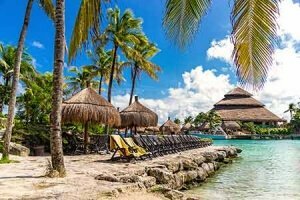 Cancun is Mexico's most visited destination full of great beaches, hotels, adventure, restaurants and much more. 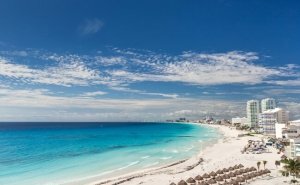 Traveler's looking for a more active destination will find Cancun a great choice. 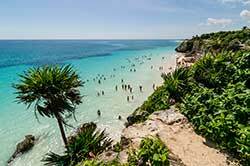 Playa del Carmen is located about 30 minutes south of Cancun and offers visitors an outstanding vacation destination. Fine hotels, restaurants, nightlife, beaches, and adventure awaits. 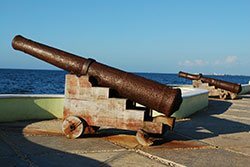 Cozumel is typically reached from the ferry's departing from Playa del Carmen. 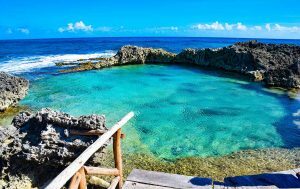 This island is a mecca for scuba diving and has fine white sand beaches along the coast line. 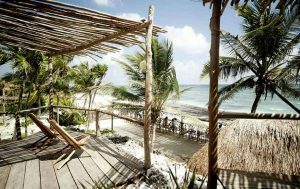 Tulum is the fastest growing vacation destination for a good reason. 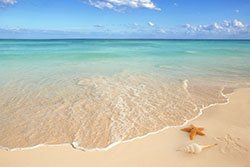 Located 81 miles (131km) south of Cancun visitors will experience the finest of the Riviera Maya from white-sand beaches to ancient Mayan Ruins. 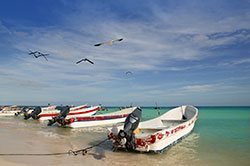 Isla Holbox is a true island 7 miles north of the top tip of the Yucatan Peninsula about 40 miles NW of Cancun. 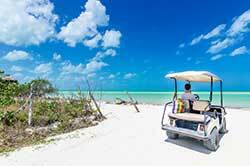 No cars exist on the island so transportation is typically by golf-cart, boats or bicycles. 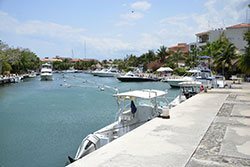 Puerto Aventuras Mexico is an upscale residential community resort located in the heart of the Mayan Riviera. It is known primarily for its marina, which is the only one to be found along the Riviera. Puerto Morelos is located between Cancun and Playa del Carmen. 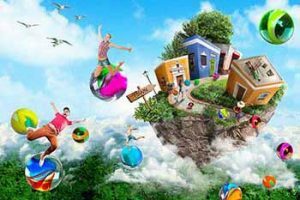 A small, but growing, beach town with a combination of homes, hotels and cabanas to choose from. 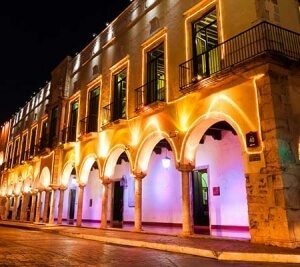 Merida is the capital of Yucatan. Known as "White City" because of the large use of white limestone and white paint this traditional city depicts much of the splendor of Colonial Mexico. 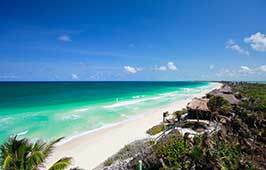 The Riviera Maya is one beautiful stretch of Mexico's Caribbean coast starting near Cancun south past Tulum. Visitors will find endless white-sand beaches and attractions at each stop along the way. 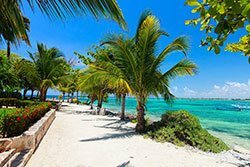 Akumal is located 100km (62 miles) south of Cancun in the heart of the Mayan Riviera. 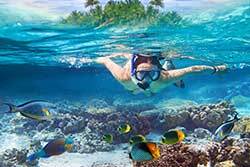 It boasts a beautiful main beach and is an excellent location for diving and snorkeling. Campeche is located on the southeast part of the Yucatan Peninsula. 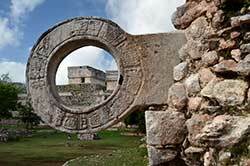 Campeche was founded around the third century and used to be the principal town of the Mayan district Ah Kin Pech. Beginning where the Mayan Riviera ends, the Costa Maya stretches along the coastline down to Belize. 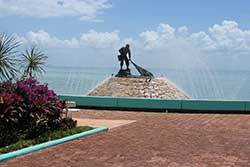 Chetumal is the capital city of Quintana Roo. 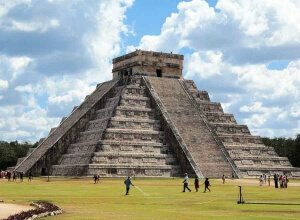 Chichen Itza is the most visited and by far the most famous of all Mayan archaeology sites located in the Yucatan Peninsula and should be on your list to visit. If you are looking to experience more of a "Mexican Holiday" then Bacalar is a great place to visit. Unknown to many people is that Mexico does have “cottage country”. Ticul has got to be one of Mexico's best-kept secrets. 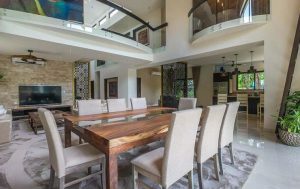 While tourists flock to Playa del Carmen and southward to Palenque they overlook this excellent location to set up camp and stay for a week or two. 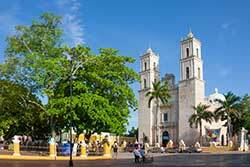 Valladolid is a small, laid-back city located midway between Merida and Cancun in the State of Yucatan that was established in 1543. Named a pueblo mágico, or magic town in 2012, Valladolid is rich with traditions. 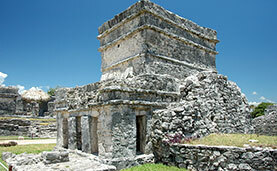 The Tulum Ruins with Xel-Ha tour is a great combination to participate in. Mayan culture and refreshing water at is finest from both locations. 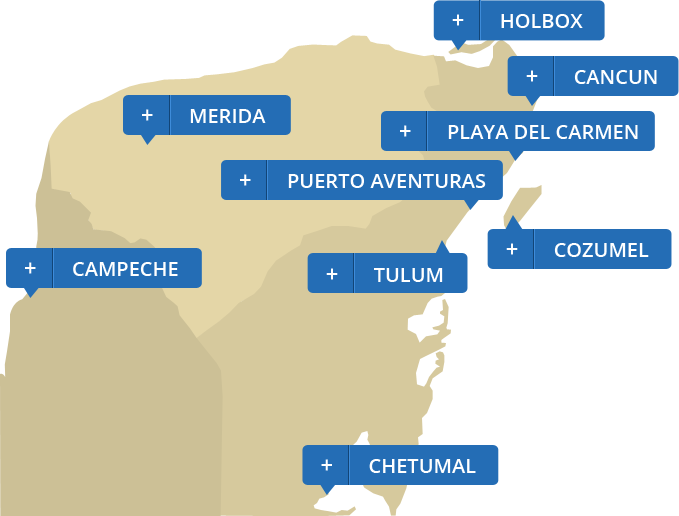 Coba is a short 30 - 45 minute drive from Playa del Carmen. This is a large site on the shore of two lakes. 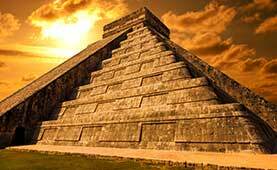 This is a popular tour site and is the highest pyramid in Mexico. 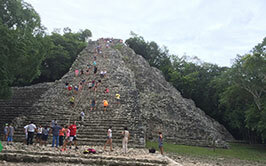 Aktun Chen is a highly rated eco-park by National Geographic and TripAdvisor located near Akumal on the Riviera Maya. 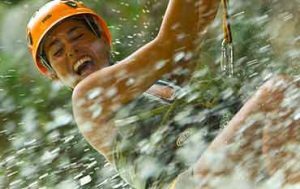 Experience an underground cave, zipline, cenote and more. Visitors to this UNESCO Heritage Site will experience tropical forests, pristine wetlands, palm savannah, lagoons, mangroves, dunes and sandy beaches.